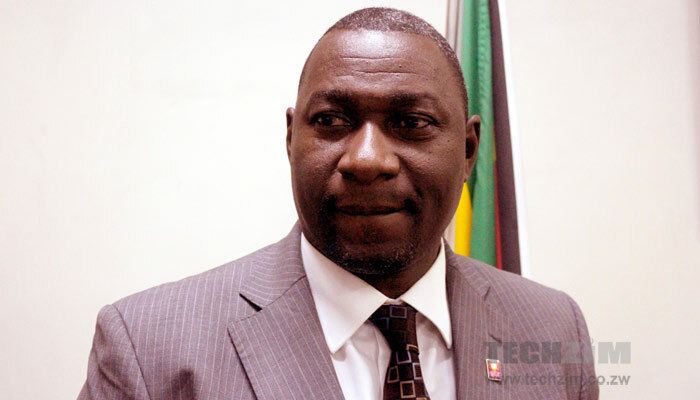 The government has no intention to merge Telecel, a mobile operator it just bought, with NetOne, which it already owns the ICT minister, Supa Mandiwanzira revealed yesterday to the Herald. Effectively, this means the government will have 4 operators; NetOne, Telecel, TelOne and Powertel all using using resources in a the same market to compete against each other for the same customer. The government has at least 50% shareholding in Africom (30% through IDBZ and 20% through NSSA) which also provides voice and internet services bringing the total number of government operators to 5 in a 14 million population market. Conventional wisdom would suggest the opposite; that by consolidating its investments in these 5 companies, government is likely to get rid of the mentioned inefficiencies, in addition to ridding duplicate investment in infrastructure and administration costs. Combined, Telecel and NetOne, have just over 5 million subscribers and surely such a small size of company could be easily and more effectively run by one set of executives. The argument that China does it that way is a bit strange here because of the many differences in the economies. China is a huge country with a huge population. The 1.4 billion people there would need expansive & sophisticated telecoms infrastructure to serve. The country has more than a billion mobile phone subscriptions making for extremely high value of telcos to be managed. The largest telecoms operator is actually not government – it is Econet – and government is competing already albeit without much success in business execution efficiency. What use would it do government to fragment their effort even more? The unexpected spending slowdown could be the latest sign that Beijing is planning an industry overhaul, following reports that first emerged last month of a possible consolidation of the three current mobile carriers into just two. Such a move would reflect Beijing’s disappointment at the failure of State-run carriers to become global innovators over the last decade, even after receiving monopoly rights over a market that has become the world’s largest for mobile and broadband services. …Such moves [letting private companies like JD.com and Alibaba play a bigger role in the sector] show Beijing finally realizes China will need to give a much bigger role to the private sector if it ever hopes to become a global leader in telecoms products and services. A merger of China Telecom and Unicom would be another important step in that direction by reducing reliance on the big State-run companies to provide innovative consumer services. Instead, these big companies could be relegated to the simpler and relatively straightforward business of simply owning and operating big telecoms networks. In short, where China may be considering revising what they created about 20 years ago (creating 3 telecoms companies that compete with each other in a very huge market) because the current technology and consumer trends demand it, we’re copying the old strategy even despite vastly different market fundamentals. That said there’s other speculation doing the rounds locally that Telecel was bought so it could be sold to Angolan multibillionaire Isabel dos Santos who, along with her father, President Eduardo dos Santos and other investors, owns Angola’s largest telecoms operator Unitel S.A. This, or a deal with another buyer, may actually be the reason government doesn’t want to merge its operations. Tagged China, Government of Zimbabwe, Isabel dos Santos, Net*One, Supa Mandiwanzira, Telecel, Unitel S.A. So in other words its only Econet which is paying its dues to the gvt, the fact that Telecel now is “owned” by gvt means they will join the others who do not pay taxes and license fees. A lot of companies operate this way were they are owned by one entiny but operate under different names and management. Comair and Kulula are good examples or Dixons group plc. But all works not from directives, but sound business plans, not from how good board members ‘donate’ to the party but effectiveness. I still do not understand how NSSA is forced to pay for Telecel but do not own it. Now that banks were squized almost out of life through unsecured loans, is this the new way of getting money now? Where does this leave the infrastructure sharing noise? How is it easier when you are failing to finance the ones you already own and make them competetive? Arm twisting NSSA to finance you to glory, do you think this can happen? Reality has proved again and again that you cannot force yourself to economic boom. I told someone that this ICt Minister is Corrupt, now is has his hands in the till at NetOne, TelOne and POTRAZ, now he is adding Telecel to his portfolio of looting. I’M STILL BEMUSED BY THE GOVERNMENT DECISION TO BUY TELECEL. OUR GOVERNMENT MAKE ME SICK! Come one guys… dont you get it? It all politics. The day our Minister entered into politics, he may have stopped being a real businessman. Business decisions and Political decision can – in Zim and other countries – can never mix, like oil and water. As you can see, his defences have been squashed already, implying that our dear minister is still probably learning how to respond to questions like an experienced politician. 2016 will surely be interesting… And imagine as we go towards elections, 2017…2018…. icho! Telecel will be used in the campaigns. Thats it! I hate Econet but i am moving to Econet. hahahahaha, the story of the year. All that noise about infrastructure sharing was actually about ownership. Sharing By Ownership, even tabloid magazines could not better this story, and they bought it for a song (40 million to be exact)……. It cost more to set up shop than buy an existing business or so it seems. ICT, Energy, Water, Industry, Agriculture, Mining etc. all decimated by people who are only interested in themselves? It is up to Zimbabweans to stand up to this nonsense? The Chinese Communists, who we want to copy and who we call our friends are very different from us. They have their people’s interests at heart.